We'd like to announce a seasonal discount (20% off) and share news about a new Spotlight on a dome exhibition in Mandurah, Australia, created by Paul Bourke in collaboration with other artists, our new VDMX tutorial, and a new Vuo gallery for community-built nodes. When you add an item to the cart from this page, it will show the discount. Our newest spotlight is about a fulldome installation called the Hydrodome that “focuses on our community’s connection to our waterways from Mandurah’s ancient Bindjareb heritage to 21st century recreation." Paul Bourke, in a collaboration with other artists, created this community installation. Several Vuo nodes including Warp Image with Projection Mesh are built on Paul's work. Want to get started using Vuo with VDMX? 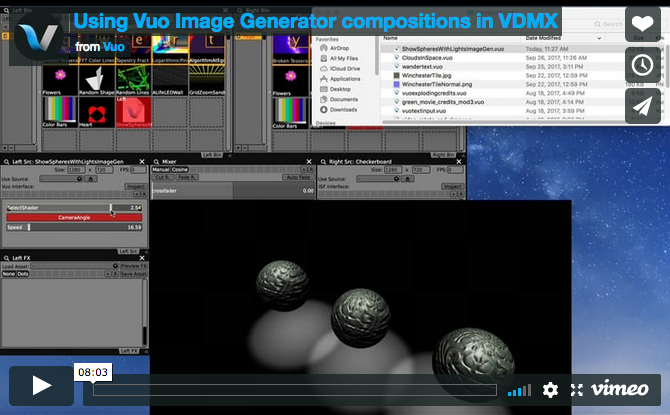 Our new tutorial "Using Vuo Image Generator compositions in VDMX" shows how to integrate Vuo's live effects, including generating 3D scenes, into VDMX. We've created a new node gallery to replace our old node list. Vuo community members can either provide a link to their nodes, or post the nodes they make on vuo.org. 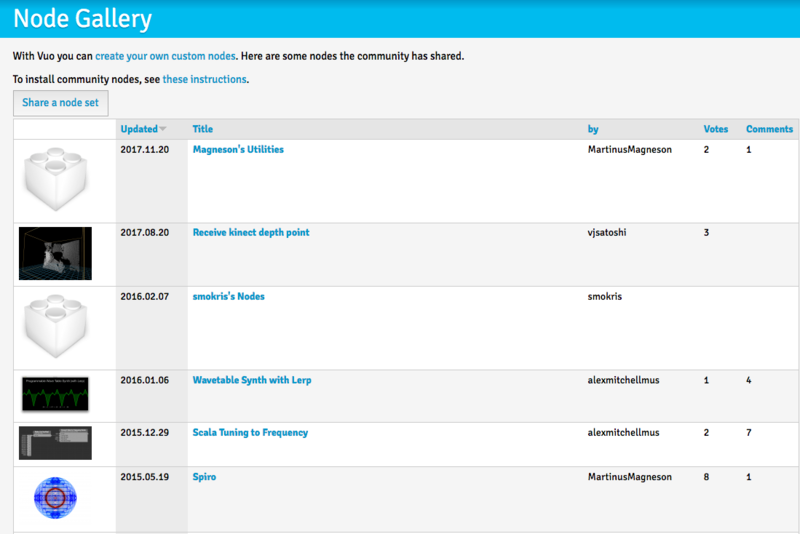 You can enter a link to any compositions in the composition gallery that use the node. We hope this encourages people to share the nodes they create, and makes finding community nodes easier. Let us know what you think about it.